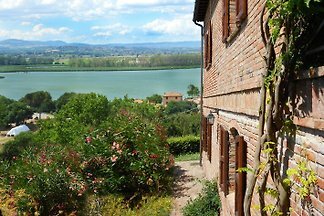 "Casa sul Lago" is located 2 km outside the resort of Porto on the border between Umbria and Tuscany. from 5 1 holiday homes & accommodations in Porto were rated with an average of 5 out of 5 stars ! Rent successfully your holiday flat or holiday home in Porto in only 20 minutes !